This is an amazingly intricate miniature by Ida Sahmie. 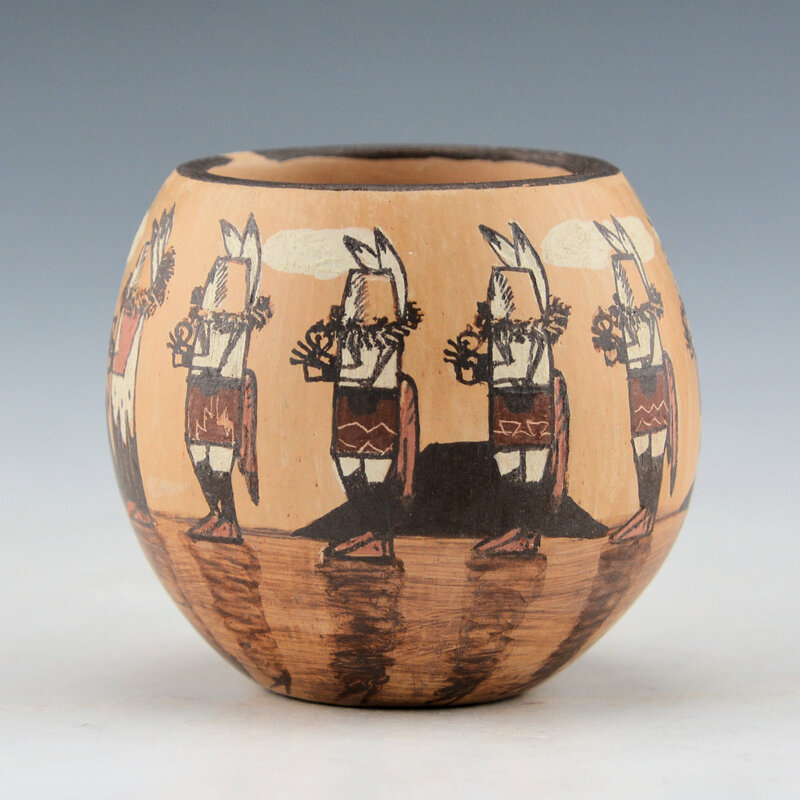 It is the Day Chant Dance with eight male Yei-bi-chi dancers encircling the jar. The background area is fully polished the natural color of the clay. In the background, there are the mesas, clouds, and even birds! 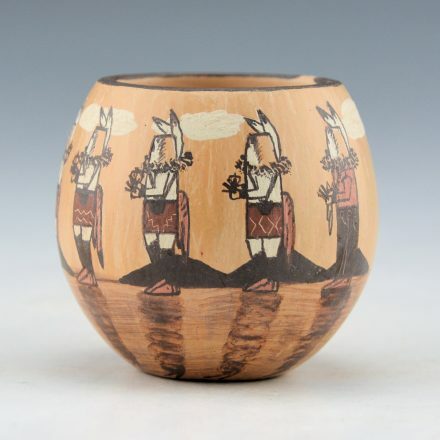 Note how she has also painted the shadows of each dancer extending to the base of the bowl. Ida also incises into the clay for the faces and the bodies, leather and masks. She is a daughter-in-law of Priscilla Nampeyo and Ida continues to make beautifully formed pottery with wonderfully complex designs. 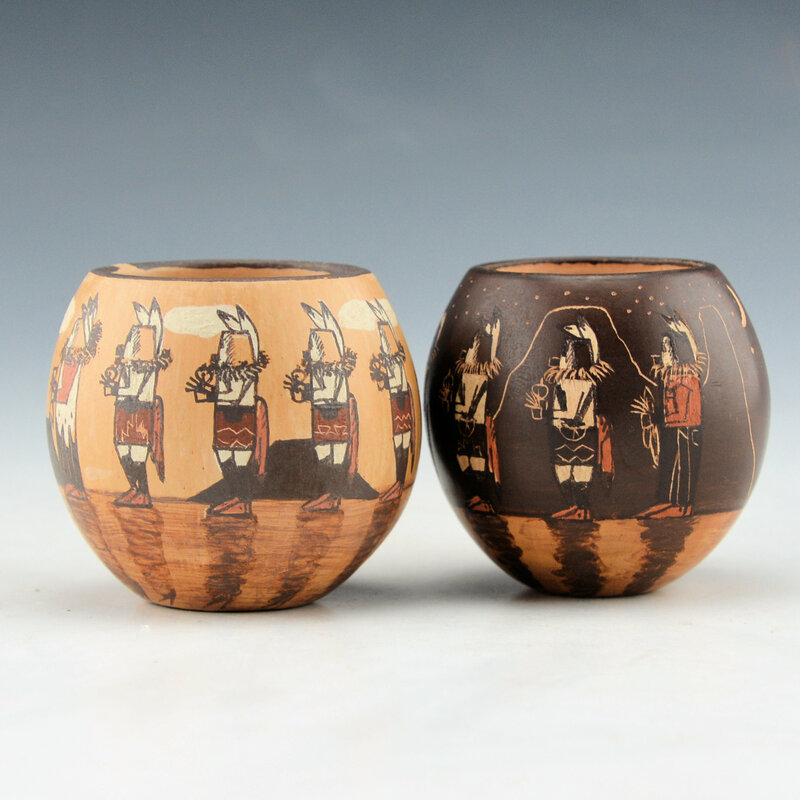 She has won numerous awards for her pottery at events such as Santa Fe Indian Market. 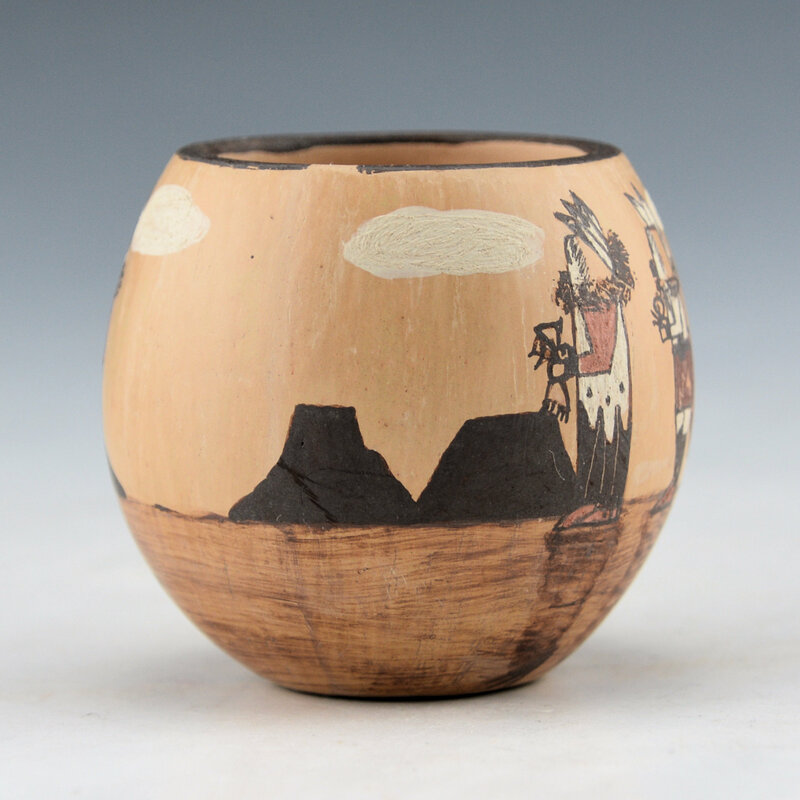 She is the only Navajo potter creating this unique style of ethnographic pottery. 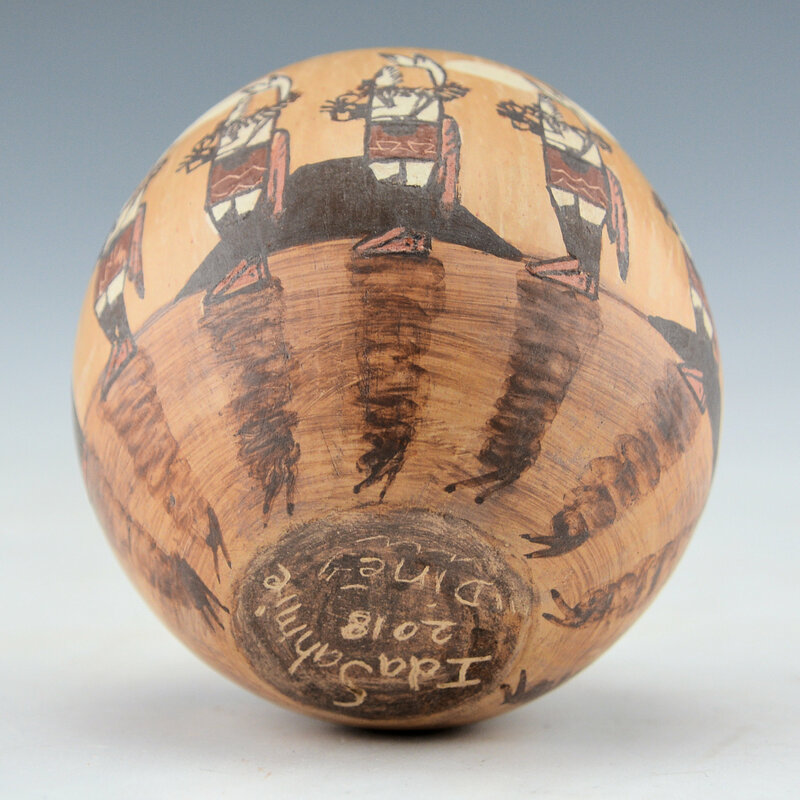 It is signed on the bottom in the clay, “Ida Sahmie”.